Video has become more important than ever before to business marketing. Thanks to social video sharing websites, namely YouTube, no longer are we forced to pay big advertising dollars to put commercials on TV. Instead, small businesses can produce their own commercials at a low cost, post them for free online, and market them in an attempt to build their following. 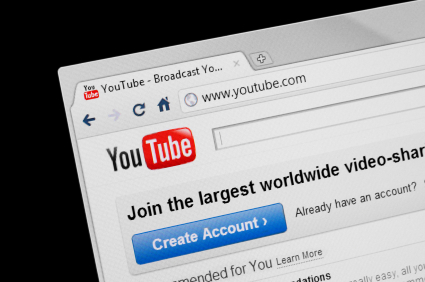 There’s no doubt about it: YouTube is evening out the playing field for companies of all size. With that being said, it’s important to note that YouTube is not simply a place to post commercials and pull in business. In fact, it’s useful for a variety of endeavors–most important to us connected with this blog, it has proven to be an easy-to-use tool for PR. However, despite this fact, many people aren’t using it that way. Why? Well for some it’s because the idea of creating videos is still a bit foreign if not downright scary. For others it’s the simple fact that they can’t figure out how the social network could be useful for PR. Either way, it doesn’t change the fact that short of face-to-face contact, nothing is more personal than a video. Respond to crisis — While you hopefully never have to issue a response to a crisis, the odds are your business could face one at some point along the way. Now what qualifies as a crisis? Well, for our purposes, I’m going to define it as any situation that is bringing your company negative press. So as you can imagine, the severity of the crisis could vary widely. Say one of your employees is accused of some heinous crime. You could create a video message addressing the issue rather than hiding and hoping it goes away. Should you properly address, the personal response could build goodwill with your customers. Contact and connect with media — Here’s a thought; reporters and bloggers alike, as you well know, are inundated on a daily basis with pitches via email and telephone. That being the case, it can prove difficult to get your story heard. But people love to both watch and share videos. So if you create a video involving your pitch and share that link with reporters through sites like Twitter, you may increase your chances of setting your pitch apart from the pack, which means you’ll increase your odds of getting elusive coverage. Get your campaign rolling — About to start on a new product campaign? What better way than to post a video on YouTube showing exactly why people should pay attention. Just make sure the video is of good quality and you provide reasons why people should pay attention. In other words, keep it focused on benefits. Have you used YouTube for PR? How’d you do it? And how’d it work out for you? Share with us in the comments section!